Pope Francis’ encyclical on the environment and human ecology, Laudato Si , from May 2015 has caused public interest, positive reactions and response throughout the world, especially among Catholics. The encyclical is subtitled “On Care For Our Common Home“. The Pope critiques consumerism and irresponsible development, laments environmental degradation and global warming, and calls all people of the world to take “swift and unified global action“. Naturally it also has a potential impact on the energy-use of the church. As a reaction to the encyclical, the Austrian Bishops´ conference determined ecology-decisions based on it: On their annual meeting in November 2015 the bishops decided, among others, to transfer the heat-supply of the whole building-stock of the church to supply with renewable heat. Other goals focus on the increase of energy efficiency, reduction of overall energy use, and the installation of 10 MW of photovoltaics on church-owned buildings until 2020. Furthermore, the dioceses have to develop climate- and energy-strategies. In June 2017 proPellets Austria organised a workshop together with church officials on barriers and opportunities to implement the decisions of the bishops regarding the use of renewable energy. Over 30 participants from catholic and protestant churches as well as experts participated in the 2 day event. The workshop revealed, that an important problem seems to be the lacking ability to develop projects for a switch of the heat-supply to renewables. The initiative for such a project must come from the local parishes. These lack understanding of the relevance and possibilities of taking such a step and need to understand, how to develop a respective project. One of the challenges for developing renewable energy projects in church buildings is the great variety of buildings and the different use or changing use of buildings. Thus solutions for energy-supply have to be very individual, there is no general approach possible. Also, many of the buildings are protected monuments which adds to the complexity of projects. 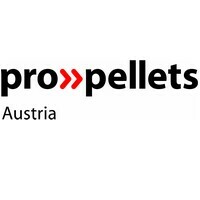 As a next step to facilitate the development of local conversion projects proPellets Austria will engage in preparing and realizing training workshops for parish council members to educate and prepare them for realizing projects. While only few parishes have so far converted to bioenergy the situation of the monasteries is different. Some of the orders and monasteries own forests and have been active in forestry-management for centuries. They have been among the pioneers of using bioenergy on a big scale in Austria by heating their monasteries with wood chips and supplying district heat to surrounding buildings. However there is still a significant potential: there are some 200 orders in Austria, 87 male, 105 female. All together they own some 800 buildings, among them 24 hospitals and residential care homes for the elderly and 250 school-buildings. The church is used to think and operate based on very long-term considerations. It does not change its attitude quickly. So one should not expect an immediate implementation of the ecology-decisions of the bishops. However, the ship has taken the direction, and it will remain on course and hopefully become a testimonial for the benefits of using bioenergy.